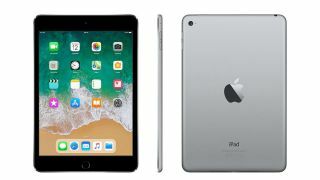 Get the iPad Mini 4 for just £269 at John Lewis on Black Friday – that’s £100 off! Perfect for a Christmas present, or if you just fancy a streaming companion on a frosty early-morning commute, the iPad Mini 4 is now £269 at John Lewis. That’s down £100 on-site and a massive saving of just under 33% from the RRP of £399. It’s also at its cheapest price currently in the UK. Seriously, this is one deal this Black Friday you don’t want to miss out on. Why not partner it up with some of the Black Friday Fortnite deals on offer? Coming in Space Grey or Gold, the iPad Mini 4 comes with a 7.9-inch screen and 128 GB of storage. It’s not clunky like some of its bigger brothers and, with the this being the latest iPad Mini on the block, you’re certain to be impressed by Apple’s traditionally sleek, minimalist design. Not only that, but the 2048x1536 resolution and 3.1 million pixel retina display makes the images as crisp as possible. There's even two cameras, for those who love a selfie, and Touch ID for extra security. It's also the thinnest and lightest iPad Mini model out there. But, even when not taking into account all that, as well as the ludicrously low price, there are a few extra goodies through John Lewis that are well worth taking into account. Not only do you get a two-year guarantee as standard – so you can have peace of mind right through to late 2020 – but you can also take advantage of the retailer’s Apple Music offer. Simply click through to the link above and snap the QR code and you’ll be jamming away to some tunes in no time. Gaming, music, leisure, streaming. It’s all available at your fingertips with the iPad Mini 4 – and it’s never been cheaper.